DESCRIPTION FROM THE BOOK JACKET: Five-year-old Luna isn’t at all sure she wants to go to school. For all she knows, there might be monsters there. But when her loving parents assure her that she’ll have a wonderful time playing and learning, she agrees to give school a try. An understanding teacher and a group of friendly kids make Luna very, very glad she made the right decision. But what about the monsters? MY TWO CENTS: Five year old Luna Lunita Lunera fears that she will meet monsters on her first day of school. Her adoring parents remind her that she is a big girl now, bigger than the moon, and that there is nothing to fear. She finds the courage she needs to get to school but decides that maybe school is not such a good idea after all. Again, her parents encourage her to find her big girl strength and take her to school. While there, Luna is still not convinced that there are no monsters at her school and hides under a table. Her fellow classmates look for her and ask her to come out and play. Luna joins them in all the singing and coloring and decides that maybe school is not so bad. At pick up, she tells her parents that there were no monsters at school and that tomorrow she will be bigger and stronger than the moon! 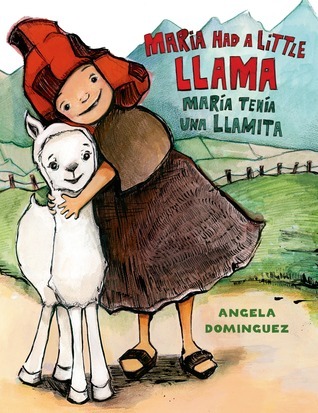 Author Jorge Argueta and illustrator Elizabeth Gomez give life to the most adorable character in Latin@ children’s literature. 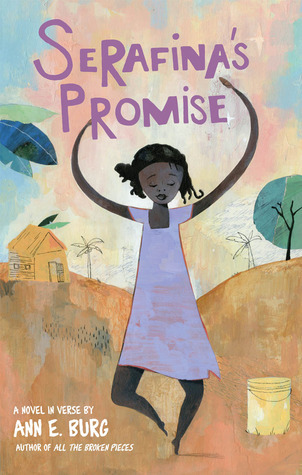 Together they have created an encouraging and loving story about a child’s fears about her first day of school. One of the fascinating aspects of this book is the multiple ways that Luna’s story is told. Because it’s a bilingual book, something that is very common among Latin@ children’s books, the story is told is Spanish and English. Simultaneously, Gomez’s illustration present an additional storyline–the “monster’s” first day of school. Gomez’s illustrations suggest that there is indeed a monster at school and that it is also afraid of its first day of school. Another significant factor in this text is the positive representation of the parents. Luna’s mom and dad are present throughout this pivotal moment in her life. Her mother reads her a bed time story at night and her father braids her hair in the morning. And both of them go to pick her up. Their presence is extremely important because it challenges negative and harmful stereotypes about Latino parents taking a back seat in their child’s education. Such stereotypes are further challenged by allowing the character of the mother to be there to read Luna a bed time story. 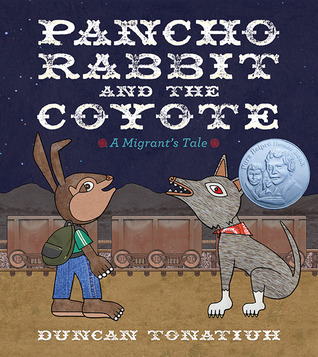 Lastly, the promotion of bilingual education, seen through the offering of the story in Spanish and English and through the depiction of Luna’s classroom as a bilingual classroom with a Latina teacher, is extremely powerful. Given national attacks on bilingual education and budget cuts on such programs, Argueta and Gomez present a wonderful opportunity to advocate for bilingual and multicultural education. Overall, this book is a must read and must have because it’s way brilliant. 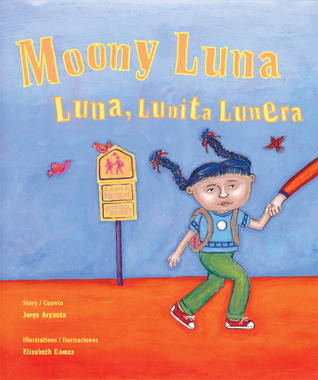 FOR MORE INFORMATION about Moony Luna: Luna, Lunita Lunera visit your local library or bookstore. Also check out worldcat.org, indiebound.org, goodreads.com, amazon.com, barnesandnoble.com, and Children’s Book Press/Lee & Low Books. DESCRIPTION FROM THE BOOK JACKET: Peanuts, blueberries, corn, potatoes, tomatoes, and more—here is a luscious collection of haiku celebrating foods native to the Americas. Brimming with imagination and fun, these poems capture the tasty essence of foods that have delighted, united, and enriched our lives for centuries. Exuberant illustrations bring to life the delicious spirit of the haiku, making Yum! ¡MmMm! ¡Qué Rico! an eye-popping, mouth-watering treat. MY TWO CENTS: Beware: This book will make you feel hungry! 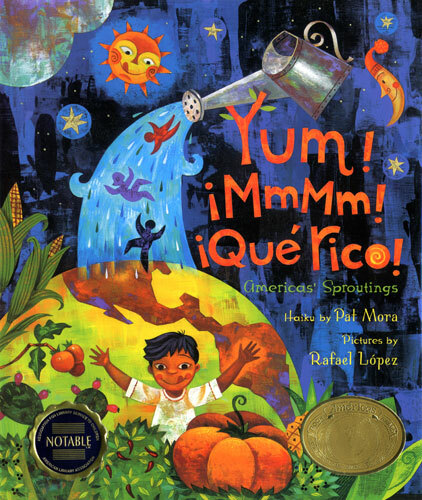 Through Pat Mora’s wonderful haikus (a traditional and very popular form of Japanese poetry) and Rafael López’s vivid illustrations, we are introduced to a wide variety of foods from the Americas. From blueberries and papaya, to pumpkin and vanilla, readers will have the opportunity to discover and learn about crops that have been growing in our lands for centuries. Mora uses this opportunity to present us with 14 different types of foods accompanied by a haiku, an illustration, and an informational paragraph for each. This combination effectively makes this book a fun, poetic, and informational read. Mora’s short poems strive to capture the various feelings and sensory experiences we encounter when we eat and enjoy these foods. The informational paragraph provides us with the etymology, origin and uses for each food, and some of them even include national holidays across the region that celebrate them. Even though food is the main character of the book, children and nature are presented throughout each page, as they interact with the food that is being discussed. Through cheerful and colorful illustrations, López supports Mora’s words with lively anthropomorphic foods, suns and moons, friendly animals, and picturesque landscapes. 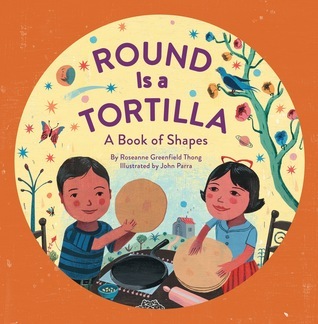 The book also embraces the real diversity of the Americas, giving us multiethnic and multiracial children and their families enjoying and being part of this magic realism journey of foods and words. Among the food, colors, and haikus there is an important aspect that is constant throughout Yum! ¡Mmmm! ¡Qué rico!, although featured discreetly: a strong sense of how vital sharing is–sharing the land with nature, humans, and animals, as well as sharing the products of our land with others. It stresses the need to understand the importance of a non-exploitative relationship with nature and our role in taking care of our land. We can see this aspect clearly with López’s constant use of images of children and families, seen either eating or preparing food together, planting seeds, and picking crops, as well as images of nature watering our soil. There’s no doubt that this book will encourage children to eat fruit, vegetables, and other natural foods. At the same time, it will help them to recognize the work that needs to happen to enjoy those foods. Yum! ¡Mmm! ¡Qué Rico! 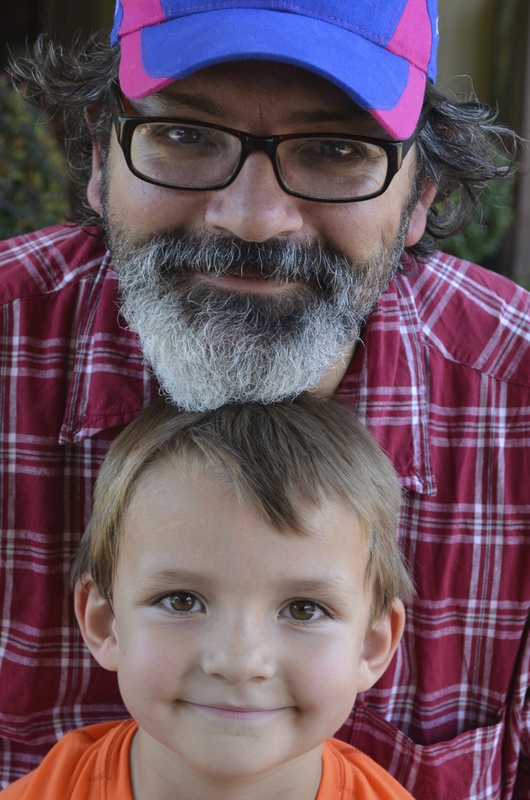 America’s Sproutings was the first collaboration between Pat Mora and Rafael López. 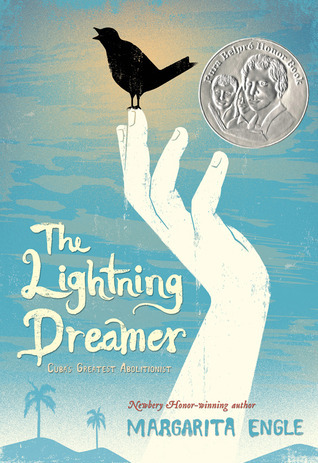 Published in 2007, the book won several awards such as Bank Street Children’s Books of the Year (2008), Américas Award (2007) and American Library Association (ALA) Notable Books (2008). 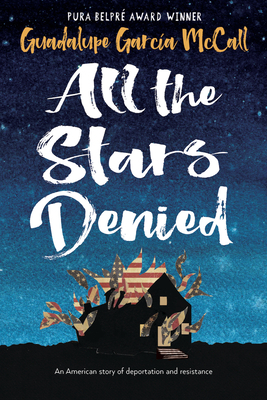 It was also included in the Texas Bluebonnet Award Master List (2008-2009), Great Lakes Great Books Award Master List (2008-2009) and ALA’s Top Ten Quick Picks for Reluctant Young Adult Readers. TEACHING TIPS: The book works well for children in grades K-6. At home, kids can read it with adults and learn about haikus and how to incorporate some of the foods into their diet. They can do fun cooking activities, such as making fruit faces or fruit kabobs, and even make ice cream, like in this activity shared by the book’s publisher Lee and Low Books. The content of the book provides librarians, teachers and educators the opportunity to create cross-curricular activities in subjects such as language arts, social studies, art, and health. Students may even become inspired by Pat Mora’s haikus and write their own pieces about the foods they’ve just learned about, and how they feel by eating them or sharing them. 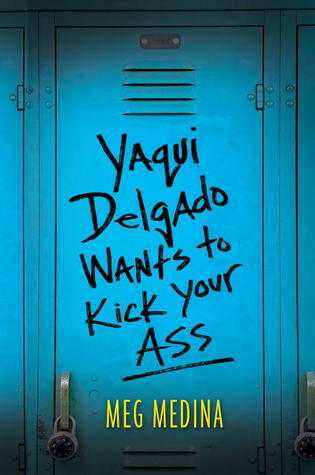 The book incorporates a few words in Spanish, such as luna and dulces, teaching children new words as well as showing them they can incorporate words in other languages in their writing. For activities related to social students, art, and health, Lee and Low Books provides a great classroom guide. 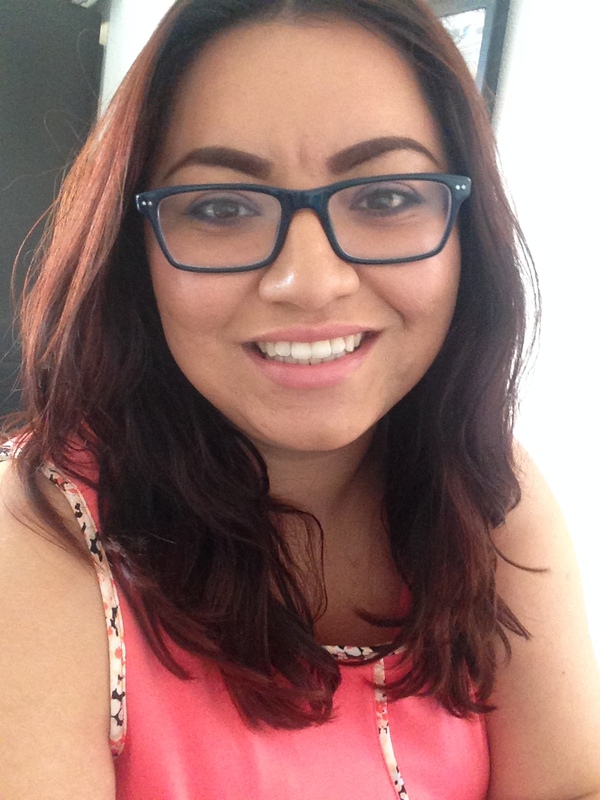 AUTHOR & ILLUSTRATOR: Pat Mora (author) is a writer, speaker, multicultural literacy advocate, and founder of Día de los Niños/Día de los Libros (Children’s Day/Book Day). A former teacher, university administrator and consultant, Mora has dedicated her life to spread her “bookjoy” to children and adults. 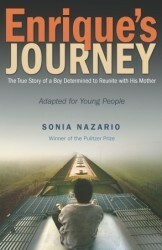 She is the recipient of various awards and honors such as Honorary Doctorates from North Carolina State University and SUNY Buffalo, Kellogg National Leadership Fellowship, National Endowment of the Arts Poetry Fellowship, Civitella Ranieri Fellowship, Honorary Membership in the American Library Association, Lifetime Membership in the United States Board on Books for Young People and several Southwest Book Awards. She was written books of poetry, fiction and nonfiction for children and adults. Some of her children’s books are: Listen to the Desert/Oye al Desierto (1994); Tomás and the Library Lady (1997), winner of the 1998 Tomás Rivera Mexican American Children’s Book Award; The Bakery Lady (2001); Doña Flor: A Tall Tale about a Giant Woman with a Great Big Heart (2005), winner of the Pura Belpré Author Honor and Illustrator Awards (2006) and Golden Kite Award from the Society of Children’s Book Writers and Illustrators; Book Fiesta! 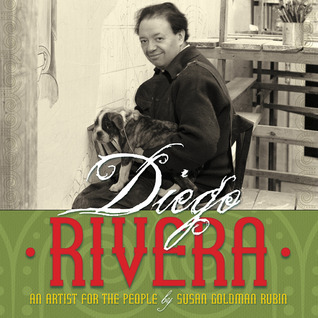 : Celebrate Children’s Day/Book Day/Celebremos El Día de los Niños/El Día de Los Libros (2009), a Junior Library Guild selection and Pura Belpré Illustrator Award (2010) winner; Gracias/Thanks (2009), recipient of the Pura Belpré Illustrator Honor (2010); A Piñata in a Pine Tree: A Latino Twelve Days of Christmas (2009), Dizzy in Your Eyes: Poems about Love (2010) and The Beautiful Lady: Our Lady of Guadalupe (2012). Rafael López (illustrator): Rafael López is a Mexican award-winning illustrator and artist, whose work is influenced by his cultural heritage, colors of Mexican street life, and Mexican surrealism. In addition to children’s books, Rafael López has created illustrated posters and United States Postal Service stamps such as the Latin Music Legends series. He also launched street art projects to revitalize urban neighborhoods such as the Urban Art Trail Project. 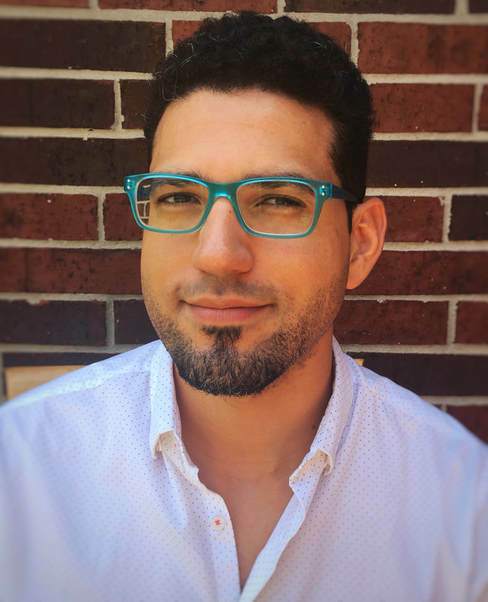 He is the recipient of various Pura Belpré Honor for Illustration awards, for books such as: My Name is Celia: The Life of Celia Cruz/Me Llamo Celia: La Vida de Celia Cruz (2006), Book Fiesta! 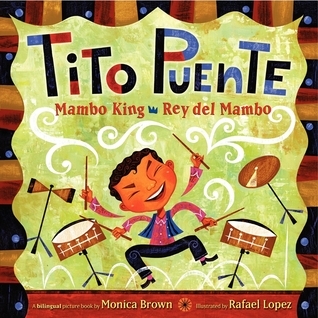 : Celebrate Children’s Day/Book Day/ Celebremos El Día de los Niños/El Día de Los Libros (2010), The Cazuela That the Farm Maiden Stirred (2012) and Tito Puente: Mambo King/Rey del Mambo (2013). 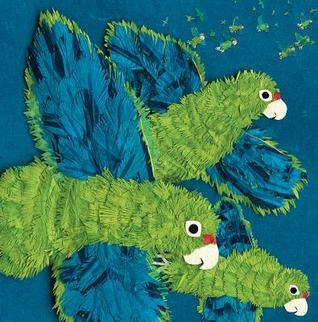 He also received two Américas Awards for Children’s and Young Adult Literature for My Name is Celia (2006) and Yum! ¡Mmmm! ¡Qué Rico! 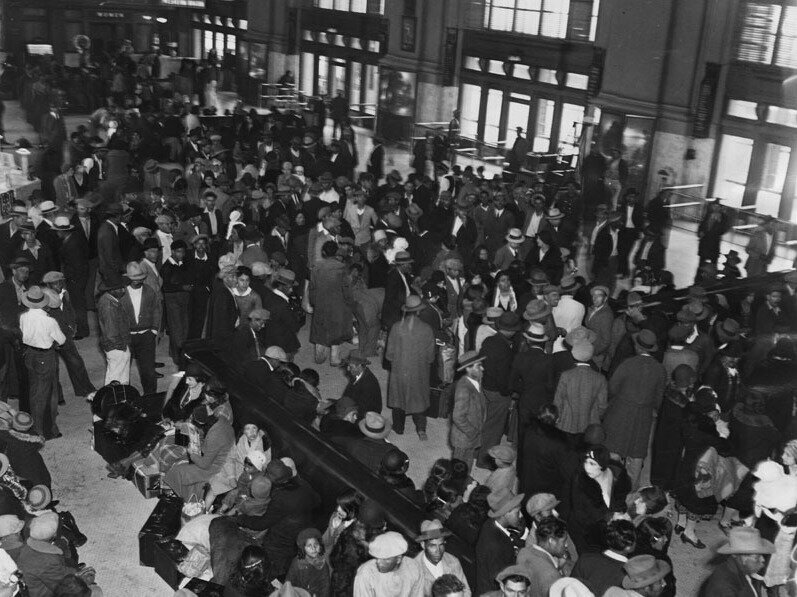 Americas’ Sproutings (2007). FOR MORE INFORMATION about Yum! ¡MmMm! ¡Qué Rico! : Americas’ Sproutings (2007) visit your local library or bookstore. 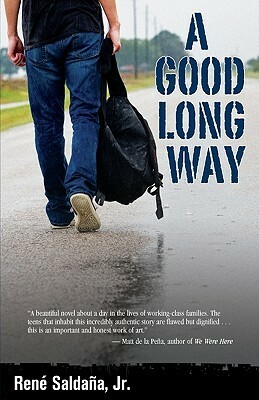 Also, check out worldcat.org, indiebound.org, goodreads.com, amazon.com & leeandlow.com.